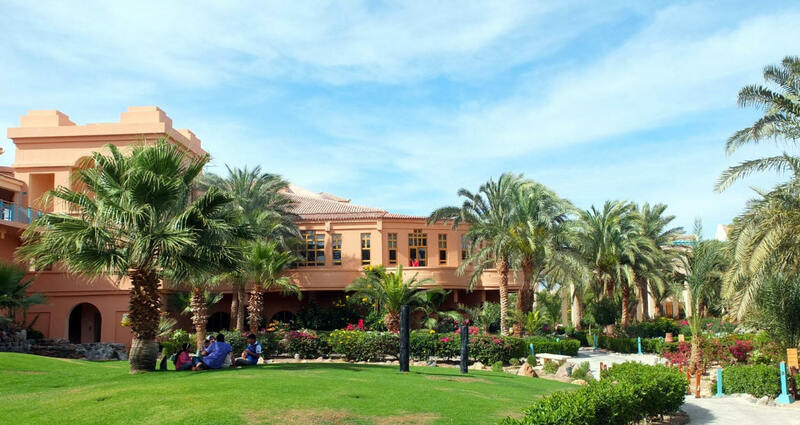 The Movenpick Hotel, with its single squash court, is the venue for the first three days of action in the final World Series event of the 2015/16 season as qualifying for the El Gouna International takes place. 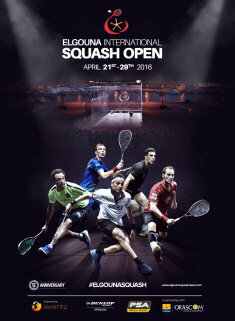 There's a lot of Egyptian interest, obviously, but surprisingly few all-Egyptian matches - in the first round, which takes place over two days - at least. 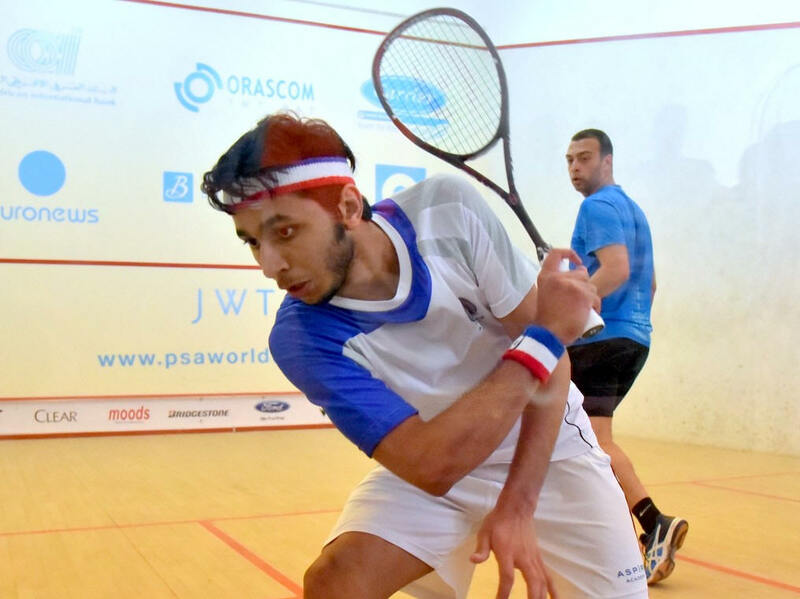 It wasn't a great day for the hosts, with just one Egyptian winner today, and Karim El Hammany had to come from 7-10 down in the fifth before providing that sole home victory. 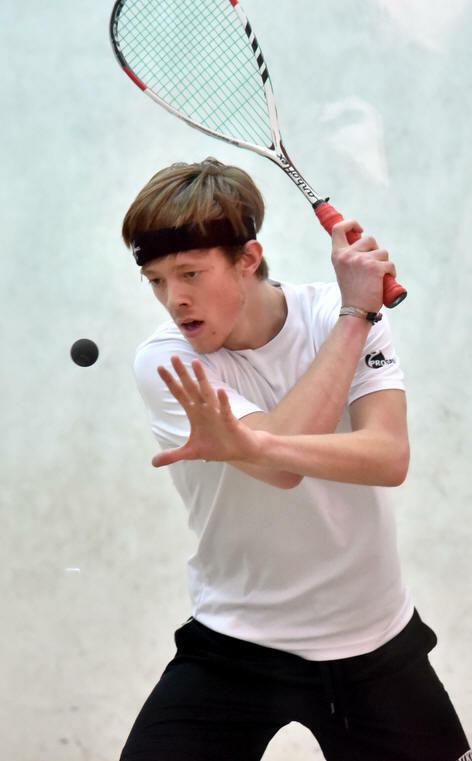 That was the only seeding upset of the round, but Kristian Frost, Greg Lobban and Ivan Yuen all had to work hard to earn their places in tomorrow's qualifying finals. 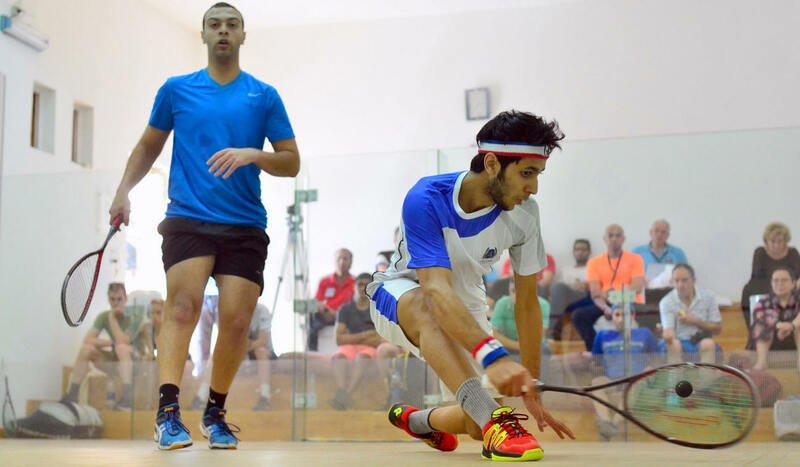 If the young Egyptian, 17, 257 WR, was a bit nervous at the start of the game, 3/8 down, he soon found his attacks, after he realised that it’s best to send your opponent at the back before playing a drop shot bless him. 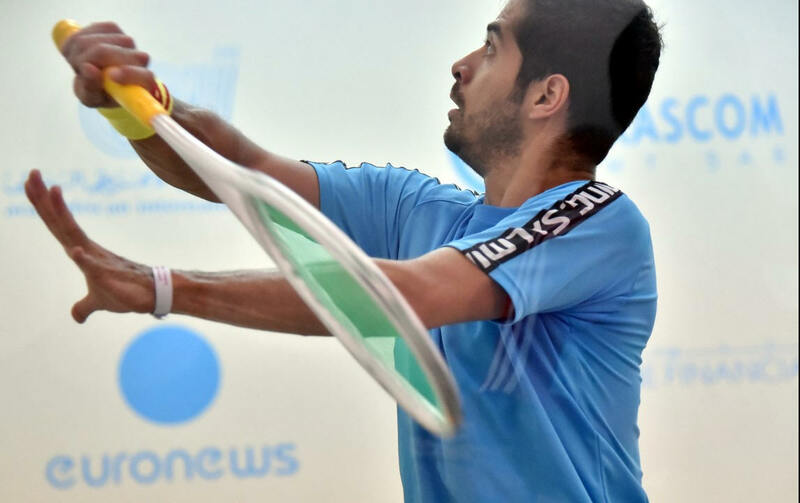 Coming back strongly in the game, he threatened Cesar – who made a few unforced errors and lost focus there a bit – 7/9, to lose the game 11/7 in 8m. 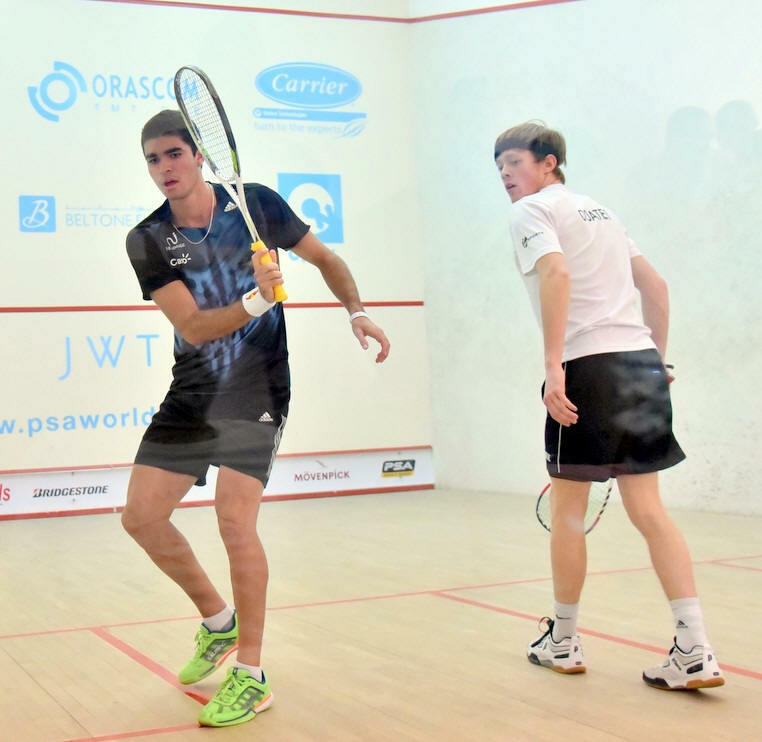 The second was much closer and dominated at the end by the youngster – showing good maturity and balance in his squash – 10/8. He was a bit unlucky there, a funny bounce as he could have taken a stroke but waited for the bounce at the back, and then an “experienced stroke” for Cesar, you know, when you wait to hit your shot juuuuust a bit longer and the ball hits your opponent.. 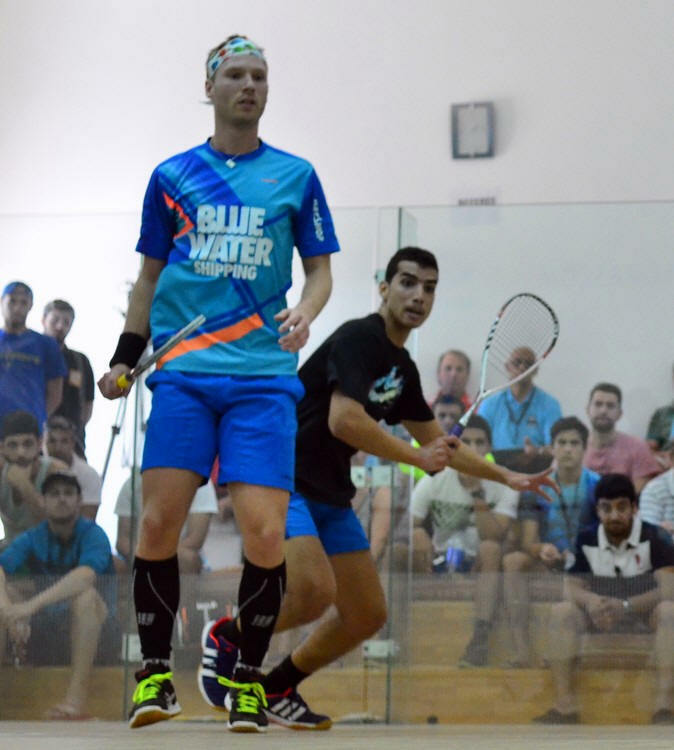 I was in control in the first game, but I felt a little niggle in my leg, hamstring probably, so it took the focus off the match for a little while, then my grip started to feel wrong! I changed it between the games, and it was fine then. He is good, he is young but good! I have to make sure I made him do a lot of work. If I was aggressive too early, he would take the opportunity at the front, plus, I lost a few points in the first game so I lost confidence in my short game. Kristian had to work very hard, very hard indeed, not only on the court coverage, but mentally. He has come a long way, and I could feel his frustration coming through in the 3rd, he was making all his best efforts not to blow up and argue with the ref. It paid off. Had he start arguing today, I feel he would have not only lost the 3rd, but most likely the match. First game was very hard for the 4 legs on court! Long rallies, gruelling, patient, accurate at the back, and waiting for the good moment to attack. Extremely mature work from both, but it’s Kristian that takes it in 17m, 11/8. Excellent start for the Dane in the second, 5/1, but a great string of points from the Egyptian, 7 points. A bit of traffic problem there, both players warned to clear the ball or else… And it’s the young man that take that game, 18m counting a blood injury at 1/1 which I think probably helped him a bit recovering physically from the hard work produced in the 1st. The third is the turning point. Very close, very intense, a good battle between those two1/1 2/2 3/3 4/4, Karim goes up 8/5, but Kristian’s experience and physical power allows him to claw back, 8/8, 9/9. 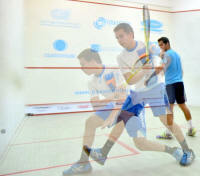 Two hard rallies, and it’s the Danish that takes it, with a clinched fist, 11/9. He was better than I expected!!! 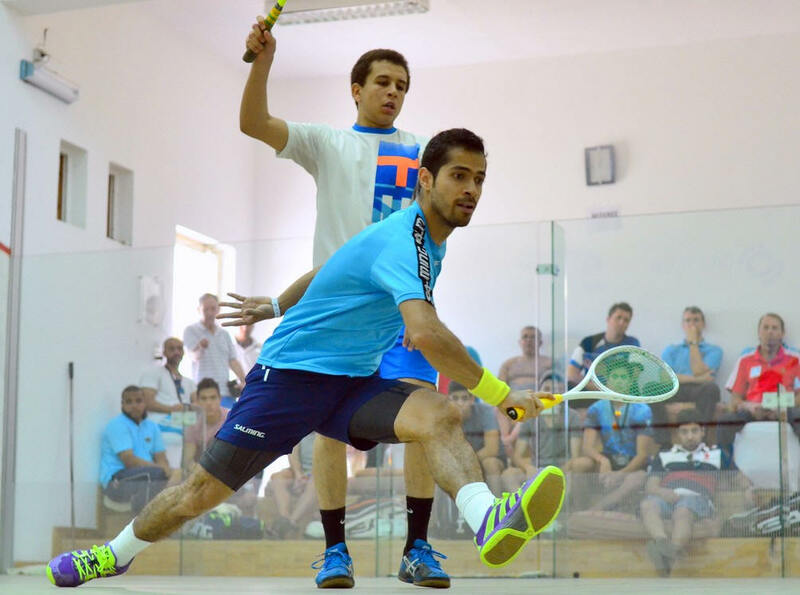 For an Egyptian, he is very patient, he doesn’t do flashy stuff, but what he does, he does very well!!! We kind of have the same style of game, we are very patient, we build up our rallies, and we take the opportunities when we can, even on the bouncy court….! I think that after I took the 3rd, he seems a bit tired both mentally and physically. We both put a lot of work in each other’s legs, and at the end, I was a bit stronger. And that made the difference at the end I feel. At the moment, I feel more confident, that’s for sure. I feel that last year, I made the error of playing too big tournaments, and I didn’t have enough matches. I lost confidence in my game. 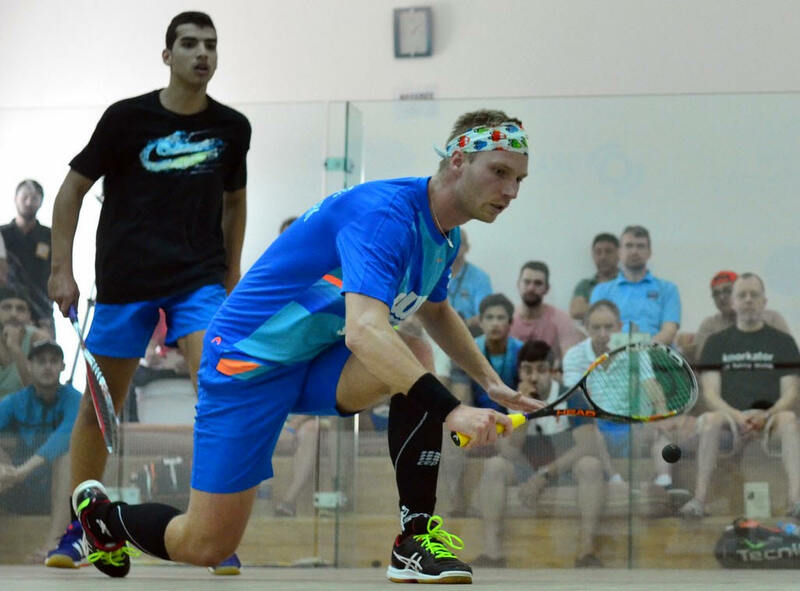 This season, I’m doing what Ryan Cuskelly does: I do a lot of little tournament, get to win matches, and get a lot of confidence match after match. 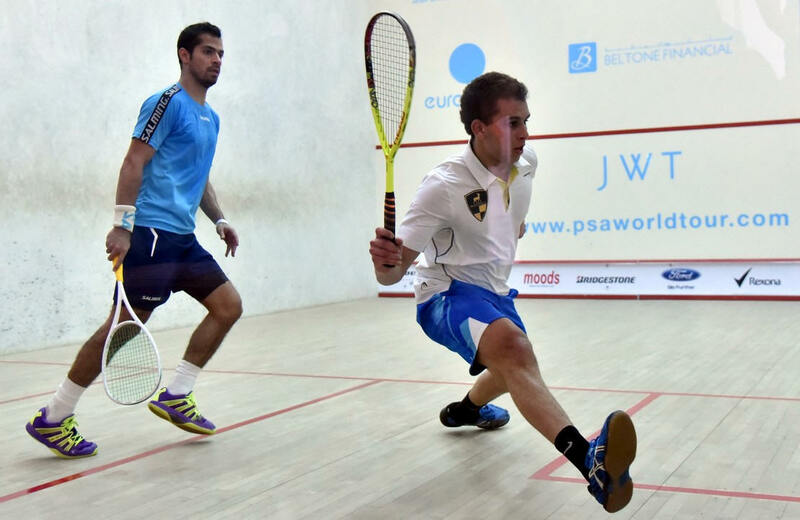 Every time Ryan steps on court, he is confident, and that helps when things get tough on there…. I’m stronger I think, both physically and mentally, I’m luck to have such great coaches at Geoff Hunt, Rod Martin and Bozza (Stuart Boswell). 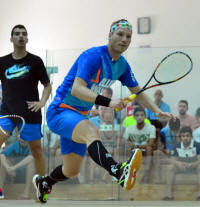 I do what they tell me, I’m working hard, and it’s working well for me, as I’m 9th match undefeated on the PSA Tour. I hope I can continue like that! 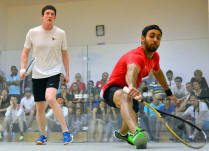 I didn’t play any squash since Chicago after my back injury, I only started playing 10 days ago. So the back is fine, but the rest of the body is awfully painful, as I didn’t do much since then!!!! 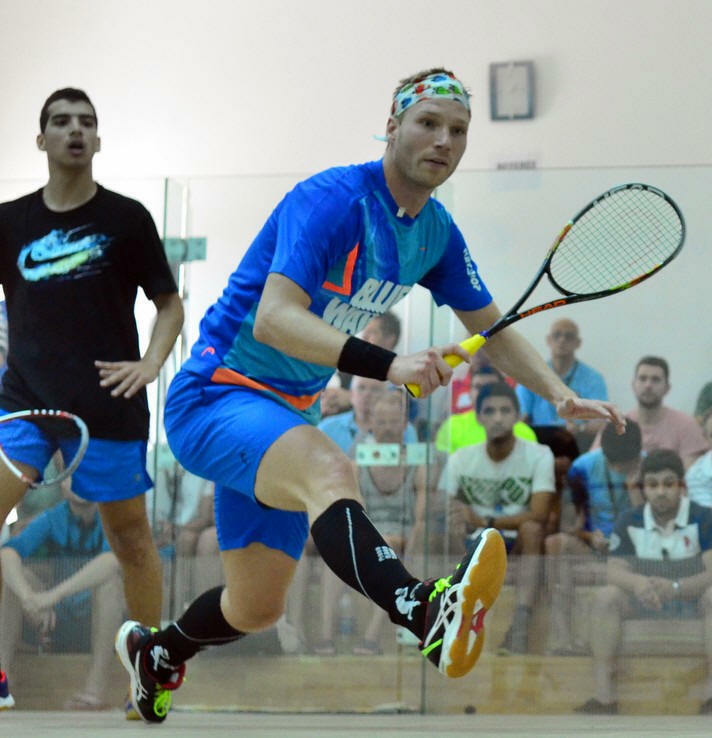 I like travelling with my Dad, he is my coach since I started playing squash, and it’s a great comfort for me to have him around on the tour. With him, we do a lot of fitness work, because my racquet skills are ok, but I need to be able to stay on court for 2h if I need to. 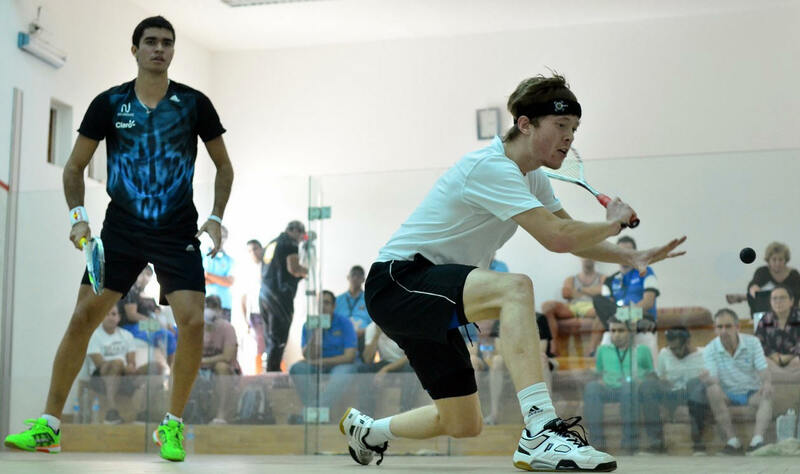 I’m 21, I started playing squash at 14 with my dad after a bad cruciate ligaments took me away from my football career (I was playing for Fulham Academy). In my junior career, I was a bit low down because everybody else started very young but I managed to have a decent junior career. I went full time on PSA last year, so I’m playing as many tournaments as I can, hopefully one day, I’ll be able to take a game from Diego, less alone a match!!! I was happy-ish with my performance today, although after the first half of the first game, I was pretty well tired down!!! I’m lucky to live with my parents, so I don’t spend too much, my aunt works with Virgin Atlantic, so I can get a few travel for not too much, I give coaching lesson, I do some bar work. I am able to break even, not earning anything but not losing out! So I’m hoping to climb the rankings in the coming year, trying to break 100 if I can in the coming years.